Ask us about our Preferred Employer Program and learn how you might qualify to save $$$ on move in! Enjoy this spacious 1,460 square foot 3 bedroom 2 bathroom apartment home. This is equipped with a walk out balcony, a gorgeous kitchen with espresso cabinetry, and an attached garage at your convenience! 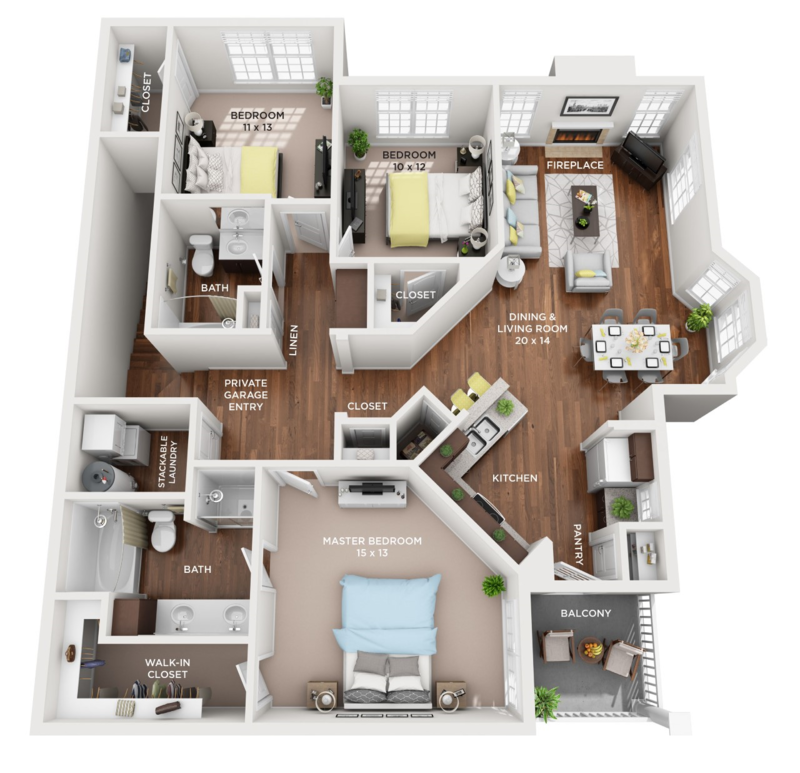 Call today to find out how to make this gorgeous apartment your home for a June 1st move in! Pet lovers! Stone Falls of Ada is a pet friendly community! Cats and dogs are welcome. Call today to find out how we can be the ideal fit for your furry family. Weight and Breed restrictions apply. Stares & Stripes Program! As a small token of thanks, all U.S. military, retirees, veterans, surviving beneficiaries, fire & police professionals are offered a waived lease administration fee, waived lease termination fees (active military, with proper notice), and $0 security deposit with approved credit. Ask for details!